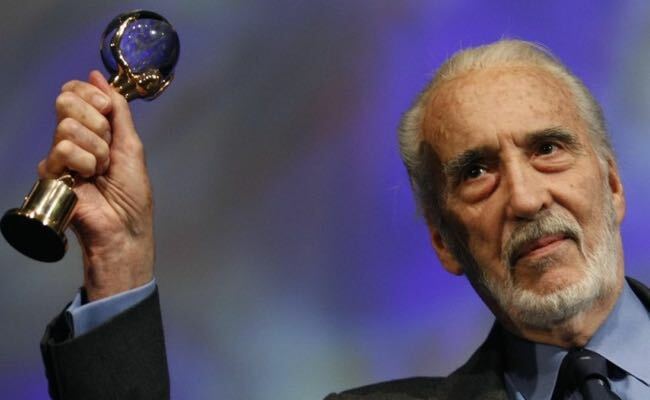 Lee spoke as he clutched a Crystal Globe – a trophy in the shape of a woman holding aloft a glass ball – that was awarded to him for his outstanding contribution to world cinema on Saturday night at the closing gala of the 43rd Karlovy International Film Festival. For once, many films that I liked actually won awards at a film festival. 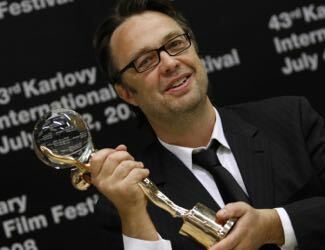 A modern Danish Western, “Terribly Happy” was named best film in the official competition. 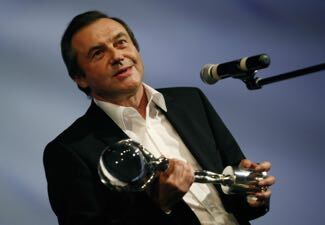 The film, directed by Henrik Ruben Genz (left), took home the Grand Prix Crystal Globe. A special jury prize was given to “The Photograph”, a story set in Indonesia directed by Singapore’s Nan T. Achnas while Russia’s Aleksey Uchitel (below) was named best director for his war picture “Captive”. The best film award in the major sidebar East of the West went to Kazakhstan director Sergey Dvortsevoy’s “Tulpan”, which had won the top prize in Un Certain Regard at this year’s Festival de Cannes. 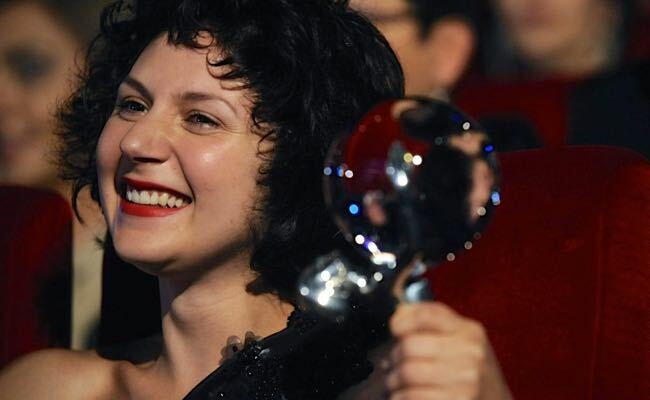 Martha Issova (below) was named best actress for her role in the Czech film “Night Owls” and co-star Jiri Madl won for best actor. Nikita Mikhalkov’s “12,” a modern Russian version of “12 Angry Man” that was nominated for a best foreign language Oscar, won the audience award and British director James Marsh’s “Man On Wire” was named best feature documentary. Special jury mentions went to Polish/Czech film “The Karamazovs,” directed by Petr Zelenka, and Hungary’s “The Investigator,” directed by Attila Gigor. Actors Robert De Niro, Danny Glover, and Armin Mueller-Stahl were among those who received awards for outstanding contributions to world cinema long with Czech director Ivan Passer, who was chairman of the jury for the official competition. A version of this story appeared in The Hollywood Reporter. This entry was posted in Film, Karlovy Vary International Film Festival, News and tagged Aleksey Uchitel, Armin Mueller-Stahl, Attila Gigor, Christopher Lee, Danny Glover, Henrik Rben Genz, Ivan Passer, James Marsh, Jiri Madl, Karlovy Vary International Film Festival, Martha Issova, Nan T. Achnas, Nikita Mikhalkov, Petr Zelenka, Robert De Niro, Sergey Dvortsevoy. Bookmark the permalink.